Clay See and Amy Mallonee, of Virginia Mason Memorial in Yakima. Photo courtesy of Virginia Mason Memorial. Two Coug nurses are at the forefront of a project to shift long-term care of mental illness away from Washington’s two state hospitals into smaller regional facilities. 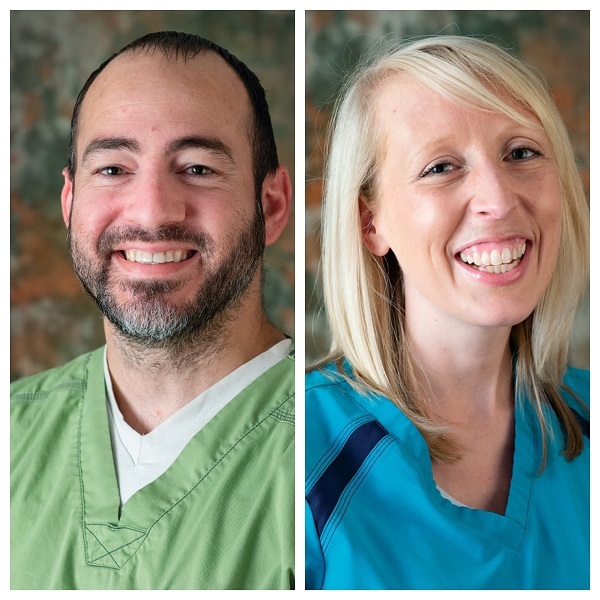 Clay See, BSN ’12, and Amy Mallonee, BSN ’07, lead the inpatient psychiatric unit at Virginia Mason Memorial in Yakima, which is among the first in the state to participate in the new program. See is nurse manager for that unit, and Mallonee is assistant nurse manager. The two Washington State University College of Nursing graduates and hospital officials landed a $2 million state grant to build out and re-fit space to accommodate patients staying as long as six months. The current maximum treatment order in the psychiatric unit is 14 days. Washington Gov. Jay Inslee announced in May his plan to transform the state’s mental health system. His goal is have all patients referred for involuntary treatment through civil courts to be served in smaller community-based facilities by 2023. Eastern State Hospital, in Medical Lake, and Western State Hospital, in Lakewood, would continue treating patients who are referred for treatment through the criminal justice system. Virginia Mason Memorial’s grant was part of $39 million in grants announced by the state in July, which will create 341 additional beds statewide. See said Virginia Mason Memorial will work closely with Comprehensive Healthcare, a private nonprofit behavioral health provider in Yakima, to provide follow-up care for local patients treated in the new unit. Virginia Mason Memorial hopes to launch the new service by the end of the year. See credits part of the psychiatric inpatient unit’s success to his fellow Coug nurses on staff.